If you are passionate about driving and want to make a career out of it, think of becoming a commercial driver. You can join a logistic company to drive their good carrying trucks and trailers. If you prefer to be in transport, carrying travelers in automatic or manual coaches is also an interesting option. But you need to have extensive training from a reputed institute. There is no need to look all over for such a centre. Come to Dhoot Driving School to learn driving from professionals at West End, London. Apart from various courses for new learners, they also offer refresher training courses. No wonder, Dhoot Driving School is popular among new drivers as well as veteran ones. The instructors of Dhoot Driving School are approved by DSA and capable of conversing in multiple languages. So there is no need to be shy if you are not much comfortable in English language. You can learn driving in your preferred language at West end, London when you come to Dhoot Driving School. As a result, you will understand each and every instruction thoroughly. Another advantage of this institute is the perfect combination of practical training with theoretical knowledge. Driving is not only about controlling a vehicle. An expert driver also needs to keep all traffic rules in mind and follow the safety measures on road. All courses of Dhoot Driving School like driver CPC Training consist of practical as well as theoretical modules. No wonder that their students are always preferred for the job of commercial driver. 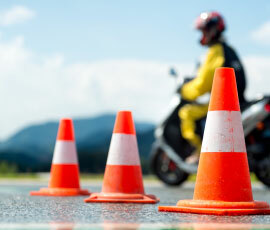 Among the various courses offered by Dhoot Driving School, Driver CPC Training is very popular. Due to the latest regulations, commercial drivers need to posses Certification of Professional Competency which requires periodic training of thirty five hours in every five years. This certification has various levels and is applicable for both new drivers as well as experienced ones. An experienced driver has the option of getting this certification by acquired rights. But if you are new into driving, start with initial CPC qualifications. There are modules like Driver CPC module 4 and 2 which will test the extent of your practical knowledge as well as theoretical base about driving a commercial vehicle. These modules have CPC Theory test as well as CPC Case study which are very good in determining the skill of any driver. In this age of specialization, it is always beneficial to be expert in driving any kind of vehicle. If you want to make a career out of vehicles carrying travelers, ask about PCV training at Dhoot Driving School West End, London. This course is crafted to make you familiarize with the mechanisms and maintenance of passenger carrying vehicles. Depending on the vehicle type, there are multiple subcategories of this course. If your company specializes in carrying large number of passengers in coaches, courses about D Manual Coach and D Automatic Bus will be useful for you. On the other hand, if you want to drive smaller vehicles with passengers up to 17, join the courses on D1 Minibus or D1+E Minibus & Trailer. Dhoot Driving School West End, London also offers various courses for those interested in driving goods carrying vehicles. Enroll in LGV (HGV) Training to hone your skills as a driver of trucks and trailers. Depending on the load carrying capacity of your vehicles, this course is further divided into various subcategories. C-up to 32 tones is good for learning about any vehicle with a loading capacity of 32 tones or less. If you are interested in driving smaller vehicles, inquire about C1+E-7.5t and trailer. 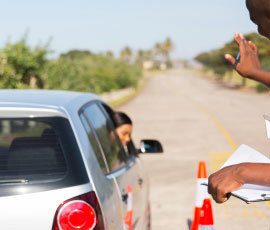 Dhoot Driving School also offer a wonderful service called Pass Protection. If you subscribe to this, the institute will make sure you qualify the driving tests at your first attempt. In case of failure, Dhoot Driving School will arrange for a retest and pay for that or refund your money back. So do not forget to ask about PCV Pass Protection if you are applying for a license for driving passenger vehicles. This option will lessen your worry about failing a driving test and help you in concentrating on the lesson in a better way. Dhoot Driving School is not only an institute for giving driving lessons. But they form an association with you and help you in every step. After completing your course successfully, they will help you in getting the license. Starting from the application process, necessary paperwork to sending the filled application form to the concerned authorities, they will be with you. Thanks to the fame of Dhoot Driving School, West End, London, many companies also inform them about vacancies. As a result, you would get their help in finding a job, too. So do not hold back your dream of driving a commercial vehicle. Visit Dhoot Driving School at west End, London and discuss your qualifications and experience with their instructors and kick start your career.